The CORE Districts began in 2010 as a collaboration across school districts exploring ways to improve teaching and learning. In 2013, several school districts in the CORE consortium received a federal waiver from some provisions of the No Child Left Behind law and are working together to develop a new School Quality Improvement Index to provide more and better information about schools and the learning needs of students. The process for creating the Index has been challenging and complex, including finding the best way to measure chronic absence from school. 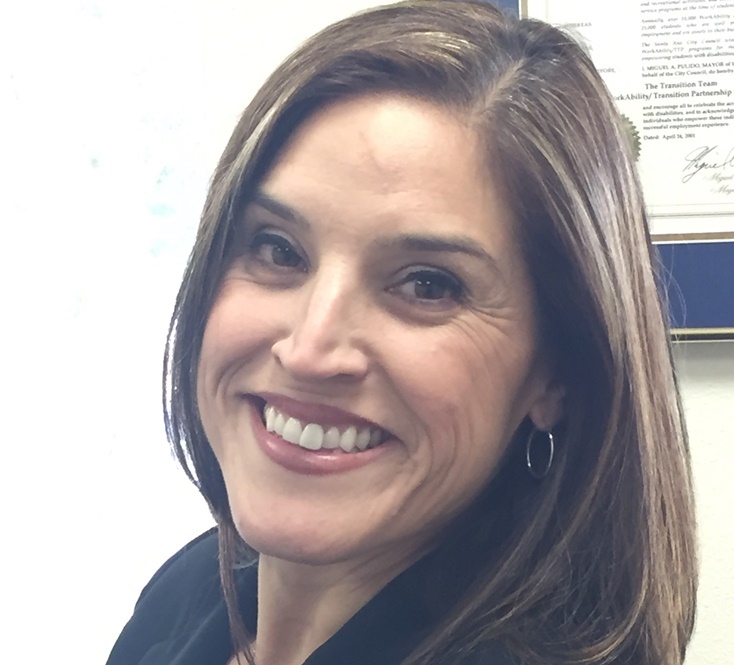 In this piece Sonia Llamas, director of school climate at Santa Ana Unified, one of the CORE Districts, explains how they defined and addressed this issue. Research has shown a strong correlation between chronic absence and low student achievement. High rates of absenteeism often contribute to widening the achievement gap among low-income and some minority groups – with the impact showing up as early as kindergarten. In addition, students who are frequently absent are more likely to drop out in middle and high school. It is clear that improving student attendance is essential to improving student learning. Unfortunately, many schools and districts do not effectively track or analyze student absences and may not have the information they need to develop effective strategies to improve student attendance. Many schools and districts have only tracked and reported average daily attendance. Average daily attendance does not offer any insight into how many, and which students are chronically absent. And, because it is simply an overall attendance rate for a school, schools often report an attendance rate that might on the surface seem acceptable, while still having a large number of students who are chronically absent. This is Part 5 of an ongoing series on the CORE Districts’ work to design a new accountability system. CORE Districts believes this limited method of evaluating attendance is very problematic. It masks a critical problem and fails to identify individual students who may be most at-risk. One of the greatest challenges facing educators in California, and a keystone of our work, is the elimination of disparities and achievement gaps among students. To do that, we need students to be in school. Historically, attendance has not been included as a metric in school accountability systems. But at CORE Districts, we have chosen to hold ourselves accountable for helping districts and educators to better track absenteeism and understand its impact. We are also working to support their efforts to find more ways improve student attendance and keep students on a path to graduation. Days Attended ÷ Days Enrolled. We chose to define “day attended” in this way mainly due to data consistency and data quality issues. Although some of the CORE districts have started recording attendance for each period during the school day, these practices are less consistent across school districts. On the other hand, whether a student attended all or some of the school day is the same definition of attendance used for the purposes of school funding. For purposes of accountability, we felt we needed our data to be of as high quality as possible and that we could get more consistent and better data using that as the metric. The next hurdle was to determine how many days a student needed to be absent before being defined as “chronically absent.” Even though all of the CORE districts have been tracking attendance, their methods for tracking absenteeism have all been slightly different. Number of Chronically Absent Students ÷ Total Number of Students. To reach a common definition, we sought guidance from Attendance Works, a national organization that focuses on promoting the importance of school attendance. Attendance Works helped to establish nationally what is now considered the threshold for chronic absence: students with a 90% or less attendance rate. In addition, we saw through our own data analysis that these students had greatly diminished odds of graduating on time. However, because districts in CORE all calculated chronic absence in slightly different ways, opting for a 90% threshold was not so straightforward. For example, some districts applied a 90% threshold; others applied 91%. Still others considered as few as 10 days missed as their definition for chronic absenteeism. Ultimately, CORE Districts decided that aligning with 90% would be the best solution, and that we would calculate the school-wide chronic absenteeism metric by dividing the number of chronically absent students – those who were in attendance for 90 percent of instructional days or less – by the total number of students. This new measurement of chronic absenteeism rates will be included in the CORE Districts School Quality Improvement Index scores that will be publicly released in February 2016. In doing so, schools in CORE districts will be better able to understand who is absent and how often, and inform strategies to reduce absenteeism. Among school districts participating in CORE, work to reduce absenteeism is already underway. For example, Santa Ana Unified has identified chronic absenteeism among students in order to identify those most at risk for dropping out. To address the issue, the District launched the What I Need – Saturday School Attendance Recovery Program (W.I.N.). Since then, more than 18,000 students have participated in W.I.N., helping nearly 16,000 students to recover and replace a day of missed school. W.I.N. is not a typical Saturday School. Our teachers target students who have been struggling with absenteeism, and who may potentially become disengaged from school. Lead teachers at each of the initial 24 sites worked to ensure that students are engaged in enriching lessons and that they leave with a desire to return. The lessons include, but are not limited to AP test preparation, writing workshops, portfolio assistance in their senior year, study skills, social-emotional learning, physical education, CPR and First Aid, band, theatre, computers and reading. Students are more likely to go to school if they know someone cares whether they show up. W.I.N. allowed teachers and administrators to strengthen this relationship. This fall we expanded the program to 39 school sites. When we gather as colleagues across the CORE Districts, we share and learn from one another about strategies like the W.I.N. program and other efforts to reduce absenteeism. With a common indicator for chronic absence across our CORE Districts, the new data from the School Quality Improvement Index will help us not only to better understand the challenges each district faces, but to identify and learn from exemplars of success. Our data collaborative, which offers CORE Districts access to detailed data and analysis of student and school level data, can also help other schools and districts to learn from and build on what we are learning. In doing this work, one thing has become very clear to us: improving student attendance is inseparable from improving student learning. By better tracking and understanding chronic absenteeism we can help schools develop strategies to keep students in the classroom and, in doing so, support their efforts to close the achievement gap. Sonia R. Llamas is director of school climate, Santa Ana Unified School District. As a skeptic about data-worship, I have to ask: don’t teachers and administrators already know who has chronic-absenteeism problems? And doesn’t chronic absenteeism directly correlate with poverty in many/most cases? So is all this data-crunching really necessary? Some years ago, then-San Francisco Mayor Gavin Newsom (now California Lt. Gov.) accompanied a San Francisco high school principal on visits to the homes of chronically truant students and had his eyes opened. ” ‘This is an issue of families in crisis,’ Newsom told The Chronicle. Raise your hand if you think resources, support, compassion and assistance are the appropriate response, as opposed to data-crunching. Caroline, if common sense is what you advise, isn’t it fair to say that some students are chronically truant due to homelife issues while others simply prefer to do something else than go to school? Kids of all stripes cut school for many reasons. Blaming it all on poverty is not sensible. I’m not blaming it all on poverty. Still, a punitive response inherently means inflicting punishment on kids who already have hellish lives amid the miseries of poverty, along with those who are just being brats. Are we all OK with that?